Joseph A. Gawlowicz focuses on workplace law, working on behalf of public and private organizations of all types, unions and individuals regarding the spectrum of labor and employment issues, employee benefits and related litigation. Joseph litigates a wide variety of wage and hour, discrimination and retaliation, contract, collection, duty of fair representation, unfair labor practice charges and ERISA/benefits actions in federal and state administrative proceedings and in trial and appellate courts. He has experience with federal FLSA, Title VII, ADA, ADEA, FMLA, OWBPA, PDA, EPA, and USERRA laws, and New York state Public Authorities, Human Rights, Labor, Civil Service, and Workers’ Compensation laws. He has conducted appeals to the U.S. Second Circuit Court of Appeals, and N.Y. Appellate Division and Court of Appeals. 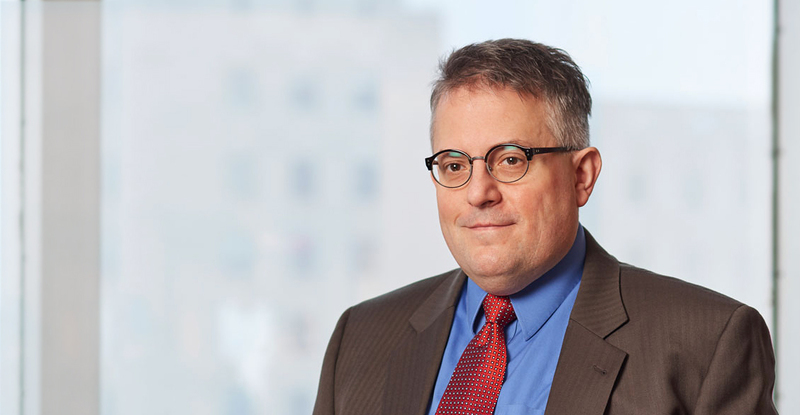 He has lead internal investigations of workplace issues and advised upon risk management leading to appearances at the National Labor Relations Board (NLRB), New York Division of Human Rights, U.S. Equal Employment Opportunity Commission (EEOC), Workers Compensation, and Unemployment hearings. He also arbitrates disciplinary and contract interpretation grievances under collective bargaining agreements and works to achieve settlement disputes informally through alternative dispute resolution such as negotiation, mediation and arbitration. He also has experience with insurance defense, premises liability and personal injury cases, administrative agency practice, class and collective actions, and electronic discovery. His diverse background helps him advocate for clients' goals through creative analysis of issues, incisive problem solving, and empathetic and persuasive communication with all stakeholders in a legal issue or dispute. Joseph's wide experience gives him a broad toolkit of skills which he uses to efficiently and effectively advocate for the interests of his clients to help them meet their objectives. Joseph works with a range of public and private labor unions, and multiemployer benefit and training funds, advising fund trustees, administrators and union leaders regarding benefit and training plan design and interpretation, employer contribution delinquency collection, employer withdrawal liability, member and retiree benefits eligibility, ERISA, NLRA, LMRA, LMRDA, HIPAA/HITECH, Affordable Care Act, and DOL and IRS regulation compliance, and participant communication. He works with plan trustees and advises them on legal issues and trustee fiduciary duties; counsels union leadership on various aspects of union organization, contract interpretation and grievances; reviews, revises and restates plan documents for legal compliance and to achieve union goals; negotiates collective bargaining agreements, individual employment contracts, and severance agreements; and works with union representatives, employees and employers to resolve issues and foster good relations among all involved in the employment relationship. Joseph Gawlowicz is someone you want on your side, because you sure don’t want to be on the other side of the table going against him. He is knowledgeable, proactive and tenacious. My organization has worked with Joseph on many cases in many different industries and capacities. His principles and convictions continue to inspire me as he takes on challenges facing the workplace. Joseph gives my group outstanding representation on a daily basis. I met with Mr. Gawlowicz regarding a difficult employment issue. He was knowledgeable, informative, and was respectful to me and of my situation. Mr. Gawlowicz answered my questions thoroughly and did not rush or dismiss any of my concerns. I left the meeting with valuable information to assist me in determining my plan moving forward. I would highly recommend Mr. Gawlowicz to anyone seeking legal counsel. My experience with Joseph has been excellent. He uses his experience and judgment to identify common ground from which to craft creative solutions to the conflicts and problems that challenge women and men in their lives and work. His accessibility far exceeds my expectation and experience with other labor attorneys, responding to inquiries late at night, early morning, during weekends and even holidays. Wow … that type of service is virtually unheard of these days and when exemplary service is coupled with solid legal counsel & advice that makes Joseph best in class in my book! Brian Hart, Vice President, Employee Benefits Practice, Brown & Brown of New York, Inc.
Joseph successfully represented me in a case involving a very rare heart condition that happened on the job and for which I was hospitalized for seven days. My public employer resisted providing me with the benefits that I had earned after many years of public service. Joseph not only exhibited detail and preparation in his case notes, briefs and arguments, but he also exhibited an unyielding commitment, dedication and perseverance to seek justice on my behalf. He responded immediately and in meticulous detail to all my many questions over the year the case was being litigated and, in the end, the case was amicably resolved in my favor. Joseph Gawlowicz was extremely helpful in resolving a wrongful termination issue for me. He was very patient and listened to my concerns, while developing an appropriate strategy. He consulted with other partners in the firm to gain their perspective and advice, in order to achieve the best result possible. My matter was resolved in a timely manner, allowing me to proceed with my life and career.